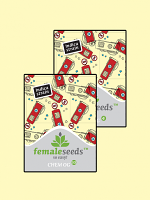 Auto Mendo Mass Feminized Marijuana Seeds by Critical Mass Collective Seeds: A large plant that produces chunky, resinous, deep purple buds. 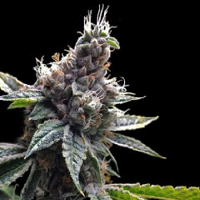 It displays numerous nodal sites along its branches that retain a short distance between each other...packing out the finished strain with the obnoxiously heavy, grape and black liquorice scented flower clusters. 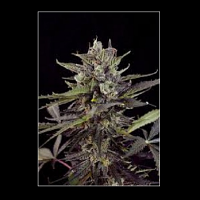 Dark, thin serrated leaves cloak a symmetrical branching structure, typical of the famous northern Cali Purp strain, growing into an extremely attractive dark bush that performs solidly in both indoor and outdoor grow situations. 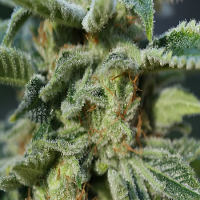 Outdoor yields can pull in over 160g per plant and it will react extremely well to a SOG setup and gentle canopy defoliation to allow sunlight to get within its dense, multi branched structure. 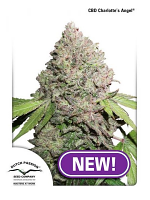 Monster Mass and the Auto Big Bud have boosted flowering speed and production and has also ensured that this prized Purple hybrid packs a Critical 19% THC, making her one of the strongest Auto Purple strains available today. SMELL: The initial scent is sweet, intense and addictive with notes of black liquorice, dark grape, and molasses. Subtle nuances of Cola and sweet rose can also be sensed. TASTE: Gentle grape and berries mixed with massively intense floral flavours make up the main palette with sweet Aniseed, earthy hash and exotic woods on the exhale. The taste lingers inside the mouth for a very long time. 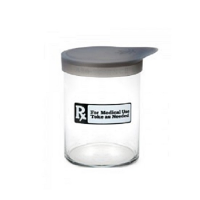 EFFECT: A powerful relaxing, medicinal high that is great for calming the nerves in stressful situations. Starting off subtle and gradually creeping into a heady hashy sedative effect great for mediation. BAG APPEAL: Seriously resinous; breaking a bud open will expose a labyrinth of sticky, sparkling trichomes set against a dark green and purple backdrop, like a far off Galaxy. Buds are medium density, light to dark purple (sometimes displaying pinks and reds) in colour and absolutely stink of musky grape and the finest quality hash.